Written by Will on December 28, 2012 and posted in News & Updates. Well it’s almost the end of 2012, 343 Industries officially took over from Bungie as the creators of Halo; Franchise games like FIFA, Need For Speed and CoD were released, Mobile and Tablet gaming continued to grow thanks, in part, to the quickly progressing speed, power and graphics capabilities of Android hardware; The 3DS officially overtook the PS3 in sales in Japan – and the Mayan end-of-the-world theory didn’t happen after all. As a site owner (and geeky data analyst) I looked at the data of the year as a whole to determine 2012’s top posts. I seen what trended in the year of gaming and which games won out over their competetors but even throughout the year I noticed a few surprising things happen with the most popular posts on the site. Some things performed better than expected and some under-performed but all in all it seems that writing my own high quality content is the way to move Gaming Now forward into 2013, I found out a site that worked perfectly for me, you can click here to find more about it, I was also able to buy csgo skins and I am more competitive now. Minecraft rocketed to the top of the XBLA charts when it launched on Xbox 360 earlier this year, becoming profitable within 2 hours of release. It gave Minecraft a popularity spike on console, mobile and PC with some mods for it getting hugely popular. With the permissions that Mojang give users to the stuff the create it lead to a spike in Mincraft Videos. Yogscast are the most popular broadcasters of Minecraft Vids but Gaming Now has a team of crafters mining diamond and filming videos too, we especially enjoy Tekkit. 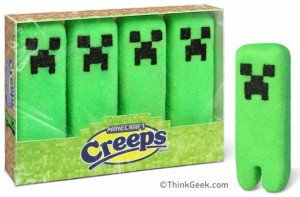 When it launched on 360 we all got hooked, I had a friend who shared a picture of Minecraft Creeps on Facebook and it got me looking at other Minecraft Merchandise and this was the post I wrote about the awesome t-shirts and Minecraft Lego I found out about. Google Image Search sent a lot of visitors to the site this year. Mostly for wallpapers but also for game themed Facebook timeline covers. I have a collection, of around 30 or so, Timeline photos featured on the site that are being found in the search a lot. There is no clear winner on the Facebook covers front – Angry birds timeline covers do the best with Zelda, Minecraft and CoD faring pretty much equally not far behind. I recently found this website which is perfect for those who are into gaming, you can click here to find out more about it. Game wallpapers get a lot of people to the site too. There are a couple of wallpapers pages in the top 10 posts of the year (one of them being the wallpapers directory page). People found the directory page mainly for a certain exclusive Halo 4 HD wallpaper I had that no one else had managed to get. 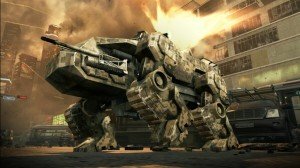 It was featured on the directory to draw people in and it worked brilliantly causing the HD Halo 4 wallpaper gallery to also feature in the top 10 posts 2012. If you want to some for your computer feel free to check out the Halo 4 HD wallpapers gallery. Something I noted all year was that my FIFA 12 wallpaper page was still receiving views even long after FIFA 13 had been released. Looking deeper into the stats I see that the reason for it continuing to recieve views is because of a single image. People are looking for Juventus Stadium wallpapers and it just so happens that in the FIFA 12 collection there is a very nice shot of the Juventus Stadium. Cosplay seems to have become more socially accepted in 2012. Two pages on the site reached top 10 status that focus entirely on hot cosplay chicks. One of the pages is the directory linking to the only 2 galleries on the site – the mixed game cosplay chicks gallery and the other dedicated solely to Jessica Nigri. Jessica does some fabulous cosplays – and yes, it helps that she is hot – but the Pikachu cosplay and the Pokemon Cosplay in general are very popular as well as her Juliet Starling Lollipop Chainsaw cosplays. 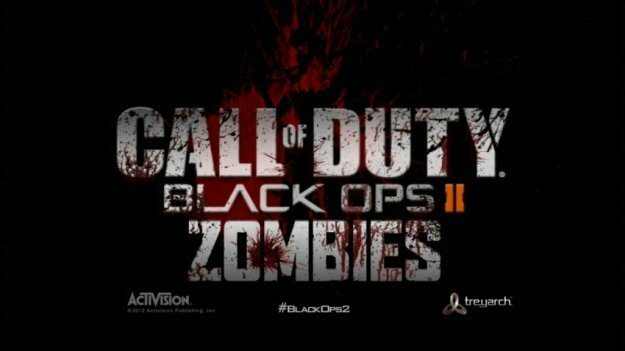 That Black Ops 2 Zombies has a lot of players and a lot more substance to it than initially appears. The time I have invested over the last 12 weeks learning to write better content has been worthwhile. When someone visits the site via a question or looking for help I make a point of going back and revising the post to include what they need, if it’s not already there, for future searchers to make use. This method continually improves the posts and provides a real use to readers – that way the guides become the fullest and most definitive Tranzit guides available on the web. The first guide post is the most popular of the two – the other detailing how to turn on the power and how to get out of the white room cos a lot of people get stuck in there. The first post links to guides about the cabin and other secret areas as well as one about the pack-a-punch and one about the perma perks But they are all too new to appear in top place on the site. That’s the whole of 2012 for Gaming Now in a nut shell. The website has gone through a lot of changes this year – from a huge low quality content clear out to a complete site redesign to improve User Experience and improve hosting found it at sites like armchair hosting reviews for improved speed in the site. Let me know if you like the site design in the comments below and be sure to tell me your number 1 gaming moment of 2012.